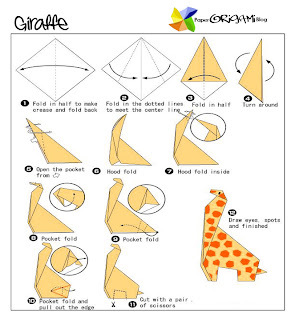 Giraffe Origami- giraffe (Giraffa camelopardalis) is an African even-toed ungulate mammal, the tallest of all extant land-living animal species, and the largest ruminant. Its scientific name, which is similar to its archaic English name of camelopard, refers to its irregular patches of color on a light background, which bear a token resemblance to a leopard's spots, and its face, which is similar to that of a camel. The average mass for an adult male giraffe is 1,200 kilograms (2,600 lb) while the average mass for an adult female is 830 kilograms (1,800 lb). It is approximately 4.3 metres (14 ft) to 5.2 metres (17 ft) tall, although the tallest male recorded stood almost 6 metres (20 ft). 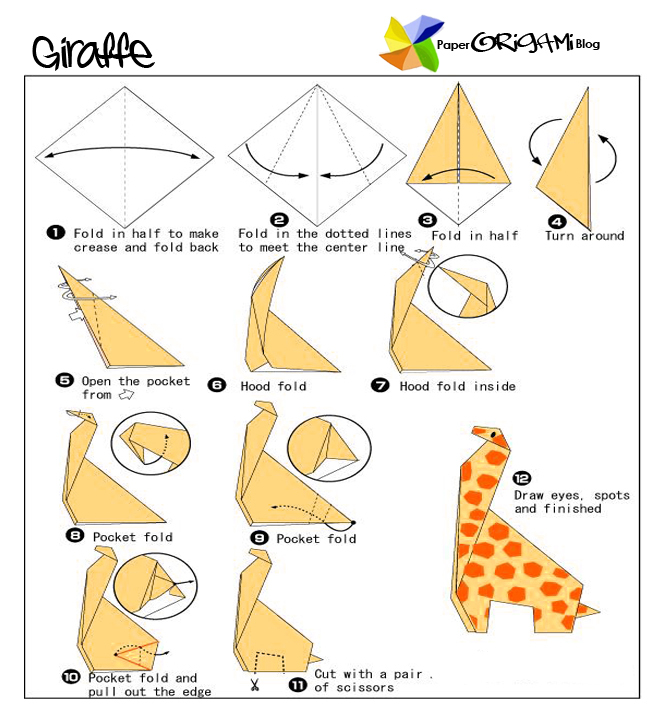 The giraffe is related to other even-toed ungulates, such as deer and cattle, but is placed in a separate family, the Giraffidae, consisting of only the giraffe and its closest relative, the okapi, and their extinct relatives. Its range extends from Chad in Central Africa to South Africa. Giraffes usually inhabit savannas, grasslands, or open woodlands. However, when food is scarce they will venture into areas with denser vegetation. They prefer areas with plenty of acacia growth. They will drink large quantities of water when available, which enables them to live for extended periods in arid areas.